The Tilapia Consumer Panel – The Fishin' Co. The Fishin’ Company recently conducted a Tilapia Consumer Panel, in partnership with Mérieux NutriSciences, to learn more about consumers’ preferences among the different Tilapia treatments currently found in the marketplace today. The Panel was made up of 75 individuals who regularly buy Tilapia at their local grocery store. While determining preferences in taste was our main objective, other questions were also asked in regard to preferences and thoughts on texture, appearance, buying habits, and so on. The findings were very interesting! The treatment variables included in the blind tasting panel were: an all-natural option, a light sodium tripolyphosphate treatment, a moderate sodium tripolyphosphate treatment, and a heavier sodium tripolyphosphate treatment. The Tilapia with the moderate sodium tripolyphophate treatment was ranked the most flavorful option versus the other three versions. 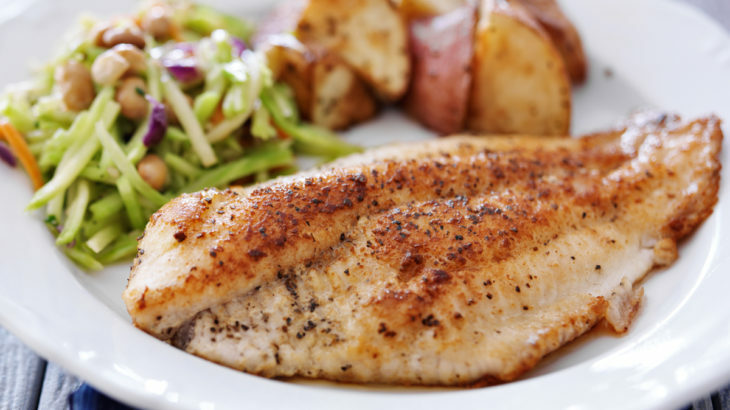 The all-natural Tilapia fillets scored as the lowest ranked option among all 75 respondents. The Panel indicated that taste is the number one factor taken into account when making a purchase at the store. Other findings concluded that the majority of consumers cook their Tilapia in the oven, with 56 % selecting this option, while 21% prefer to panfry/sauté, and 23% either grill, fry or microwave the fish. The appearance of the fish was also found to be more important to customers than the health benefits, and both freshness and country of origin are equally as important to consumers as price.